So far Guest has created 2 entries. Lucy O’Donnell is a woman with great courage who has proved that belief and resilience can miraculously reverse a grave illness and that nothing is to be presumed on or despaired of. 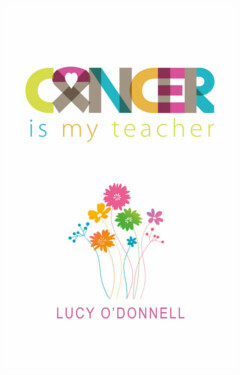 Cancer-is-my-teacher-bookI am confident, however, that every woman would benefit from reading her book Cancer is My Teacher. Those who have already done so are full of admiration and praise for her indomitable spirit in fighting a battle that many would find extremely hard to live with let alone conquer. She’s full of beans, despite what she has already gone through and still continues with a treatment that saps your energy if you succumb to its gruelling discomfort and let dejection sneak in through the back door.